Shebang Bash is a two-part event at Babycastles (137 West 14th Street, Floor 2, New York City) on Thursday, July 2. It’ll be sort of like this reading in Saint Petersburg, but with projectors and a workshop beforehand. 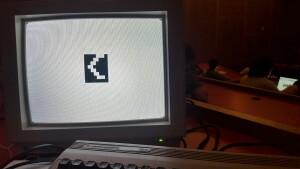 The workshop (beginning at 6pm) provides an opportunity for anyone to begin developing computational poetry by modifying existing programs. Those without programming experience are particularly encouraged to attend. Workshop participants will develop, share, and discuss their work. Participants must register in advance and bring their own notebook computer running Linux, Mac OS, or Windows. (A tablet or phone will not suffice; computers are not available at the gallery.) Those who wish to can show and/or read from their work during the second part of Shebang Bash, although presenting during the reading isn’t a requirement. The reading (beginning at 8pm) will feature work from Nick Montfort’s #! (Counterpath, 2014), modified versions of Montfort’s “Taroko Gorge,” and poems developed just previously at the workshop. 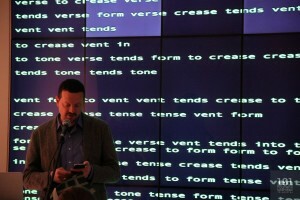 Montfort will read from several pieces in #!, will screen concrete poems from the book, will discuss the project of this book and his computational poetry practice, and will answer questions. #! (pronounced “shebang”) is a book of programs and poems, consisting of short programs in Python, Perl, and Ruby followed by examples of their output. While the book is published by a small press that specializes in poetry, part of its heritage can be traced to BASIC programming books and magazines from the 1970s and 1980s. Copies will be available for sale at Shebang Bash. Tickets to the reading will also be available at the door on the day of the event. For workshop tickets or to get reading tickets in advance, see the Eventbrite page.